Have you lost your club keys? Locking yourself out of your car can be embarrassing, but it does not have to be a disaster. One of our auto locksmiths will quickly come to your aid. Our auto locksmiths can work on the locks of any vehicle, truck, semi-truck, mobile home, and club. Numerous individuals, corporate customers, insurance companies, and auto clubs trust us because we are friendly and eager to solve their problems. With our help, you can get into your car without causing any permanent damage to your lock or key. Lockman’s car locksmiths can make and program car keys for many makes and models. We reflash and program engine control units (ECUs), engine control modules (ECMs), and body control modules (BCMs). Turn to us when you need to repair and rebuild a stuck or malfunctioning ignition. We can also replace it if needed. Breaking a key inside a lock is commonly due to simple wear and tear or unintentionally applying excessive force. Rely on our team to extract broken keys from any lock and replace the key. If you are locked out of your car or having ignition problems, give us call. We are available 24 hours a day, 7 days a week, and 365 days a year to provide emergency locksmith services. You can count on us for quick solutions, so you can have access to your car as soon as possible. 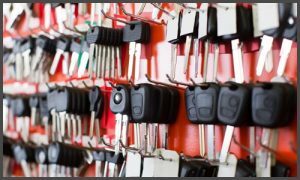 We offer affordable automotive locksmith services in Philadelphia for any type, make, or model of vehicle. Whether you’ve been locked out of your car or gotten your key stuck in the ignition, we have you covered.